The Gerlitzen Alps rise north of our Seehotel and are a part of the southernmost Nockberge. With a lordly height of 1911 m the peak of the Gerlitzen provides breathtaking views of the surrounding valleys and mountain chains. In winter the Gerlitzen is absolutely snow-reliable and this fact is just as appreciated by locals as by holiday guests. 4 alpine reservoirs, high-power production of artificial snow and elaborate operation schedules care for highest piste quality and snow guarantee. All pistes are certified and awarded with the Carinthian seal of quality for pistes. Your bonus for your ski holidays in Carinthia: As our guest at the Hotel SeeRose you will get your ski pass at a reduced price! 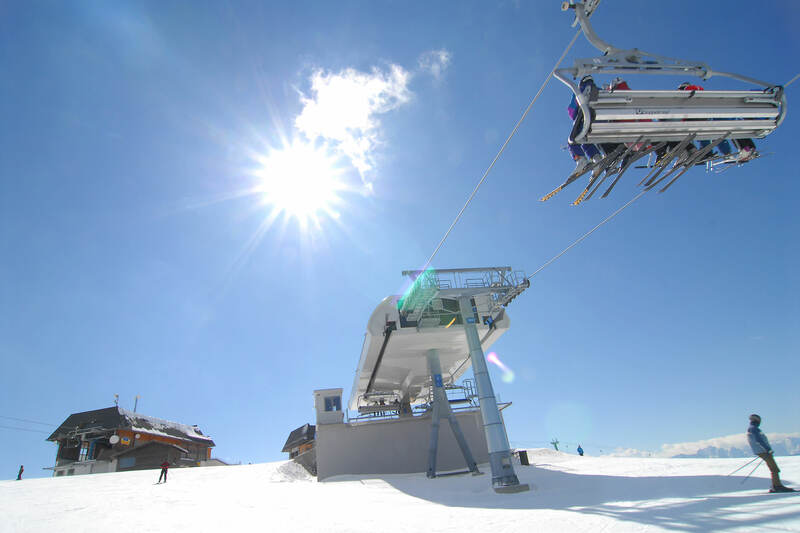 Since with the cable car that is only a stone’s throw away from the Hotel SeeRose you take a ride up to the skiing centre where you will find 51 km of well-maintained pistes, a ski school with ski rental, numerous ski routes, cross-country skiing trail and hiking trails. With our free ski bus transfer, you will reach the Kanzelbahn in 5 minutes and reach the summit in no time. Also the après-ski fun is guaranteed because aloft on the mountain there are many rustic alp huts that invite you to a small refreshment. Families with children, groups, singles, beginners, advanced and pros will certainly get their money’s worth on the Gerlitzen. 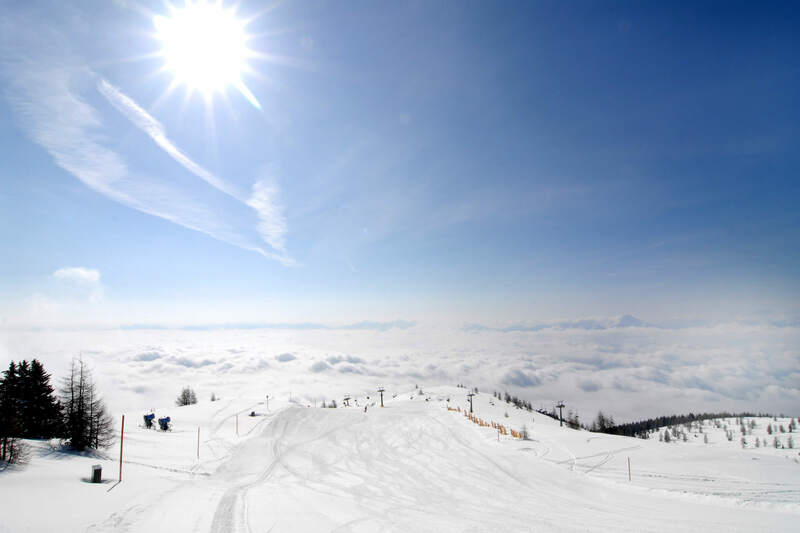 The choice is yours - to the South, East, West or North - the naturally broken ski pistes in all directions invite you to wide turns on your carving ski or on the snowboard. Rustic huts, big sun terraces, casual atmosphere, friendly and helpful staff and many sun hours guarantee vibe, fun and action in your ski holidays in Carinthia. You are a beginner on the skis, look for a skiing course for your kids or need some help with the right carving technique? The certified skiing instructors of the local ski school make sure that you will cruise over the pistes easily and safely. 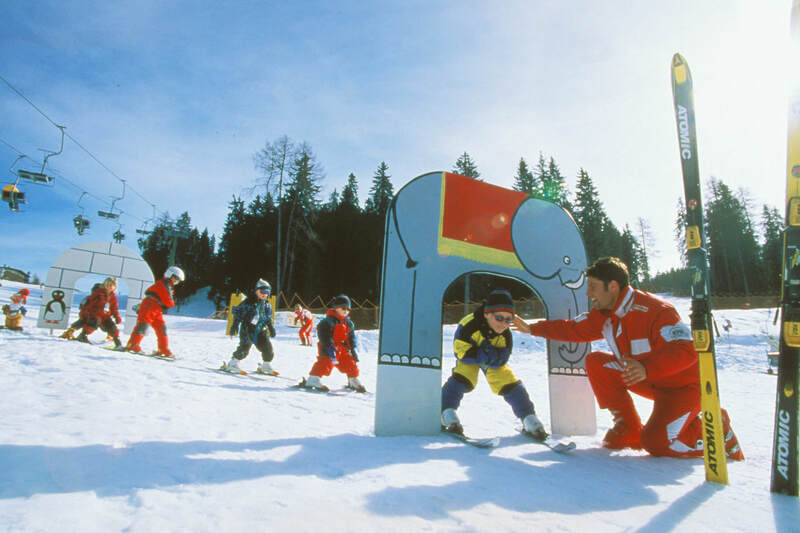 Group lessons, private lessons, skiing course for children or adults, the ski school offers a wide offer. The typical ski area is not your territory? Then try Nordic sports in the snow landscape: In the Villach Alpenarena or on the Seisera Alm over in South Tyrol there are snow guaranteed cross-country ski runs for you. The whole magic of nature can be experienced during a winter hike. We will be happy to take you on a guided winter or snow-shoe hike to show you the most beautiful paths in the surroundings. Although the hotel Seerose lies right at the water, you will find a marvellous winter paradise only a few kilometres away. Skiing or winter hiking, cross-country skiing or tobogganing, you decide for yourself how your winter day shall look like. The Hotel SeeRose at the lake Ossiacher See looks forward to your enquiry!